Identity, strategy, art design, storytelling, user experience and other components of this beautiful agency with a minimalist website easy to use : that was the stake. 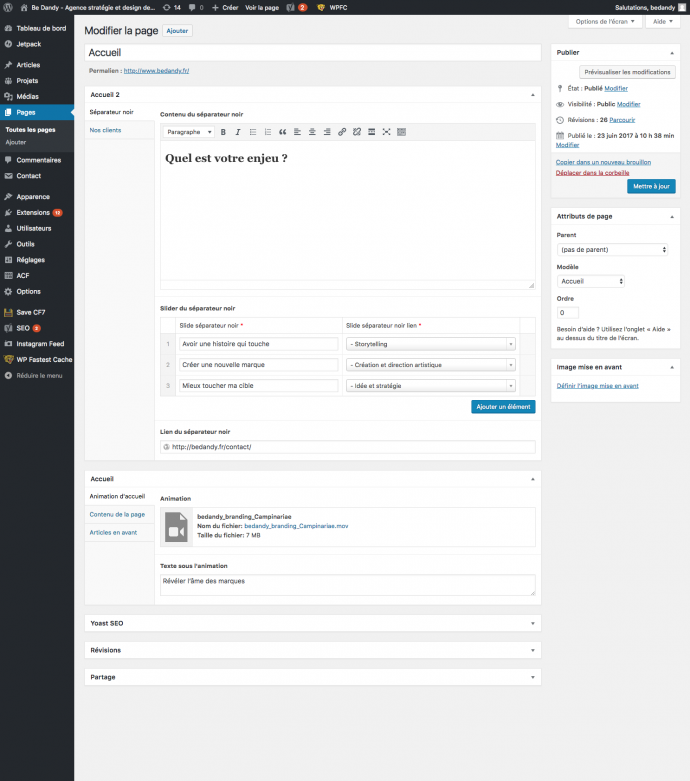 Fullresponsive integration and development WordPress. A custom tailored WordPress admin was done. The admins was trained to use the website.